See what is right in front of you plaque. Oblong wooden plaque with the inscription: you can rarely see what is right in front of you. 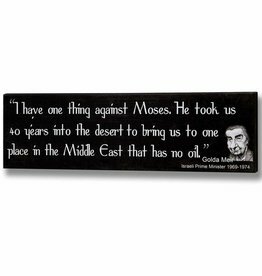 Golda Meir humorous quotation plaque.